Los Angeles county is a beautiful place to live and work. Regions of Los Angeles county include Northwest County, The Antelope Valley, The San Fernando Valley, Santa Monica Mountains, The Westside, Central LA, South LA, South Bay, The Harbor, Southeast LA, The San Gabriel Valley, The Verdugos, and Angeles Forest. Los Angeles County is bordered by Kern, San Bernardino, Ventura, and Orange counties. Riverside County is just a short drive away. Do you know about the importance of limiting exposure to asbestos? Limiting exposure to asbestos is extremely important. Though asbestos was used in just about every building until the 1970s because of its fire retardant and insulating properties, asbestos has since been discovered to be a carcinogen. Though asbestos is a naturally occurring mineral fiber, it is harmful to human health. If your building contains asbestos and you have no plans to renovate or disturb the fibers in any way, you can leave it as-is. But if you plan renovating or disturbing the asbestos, you are required by law to call professionals to deal with the problem effectively to limit the risk of exposure. That’s where H2 Environmental Consulting Services comes in. We are Los Angeles county’s asbestos experts, and we’d be happy to schedule full asbestos testing for your residential, commercial, or industrial property. Find out whether your property contains asbestos and have it thoroughly eradicated by Los Angeles county’s favorite asbestos company. Plenty of people throughout Los Angeles county have relied on H2 Environmental Consulting Services for all their asbestos needs, so what are you waiting for? Call H2 Environmental Consulting Services at (800) 524-3578 to schedule an appointment for complete asbestos testing of your property in Los Angeles county. 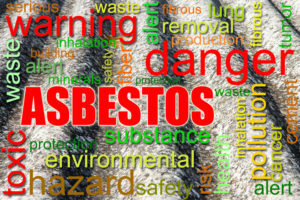 H2 Environmental Consulting Services specializes in both asbestos and Indoor Air Quality. The quality of the air you breathe every day is really important, so why don’t you have your property’s air tested to make sure it’s not causing you harm? At H2 Environmental Consulting Services, we have specialized, state-of-the-art equipment that we use to test every molecule of your property. Rest assured that we won’t rest until your property is 100% free and clear of all harmful contaminants. When asbestos testing is complete for your Los Angeles county property, we’ll present our findings to you. If we have discovered asbestos in your property, you can also count on us for thorough asbestos removal services, which include secure disposal of all contaminated materials. We’re a fully licensed and insured company so you can rest assured that we’ll follow all applicable federal, state, and local regulations to the letter, and in the unlikely event that an accident occurs on your property, you won’t have to worry about liability. The first step toward making sure your property is clean and contaminant-free is to schedule an environmental evaluation with H2 Environmental Consulting Services. We’ll test your property’s soil, water, physical structure, and air. Call (800) 524-3578 or email CustomerService@H2Env.com to schedule now.